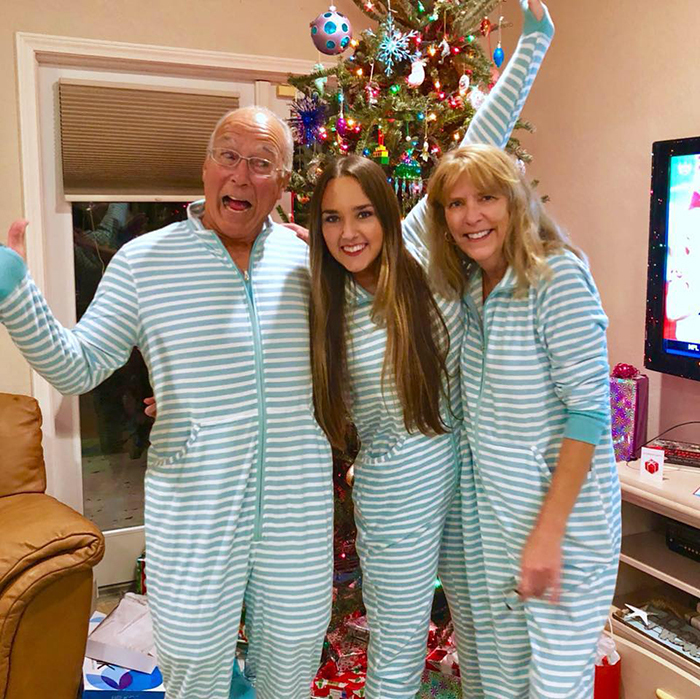 Christmas is supposed to be one of those rare days where the entire family could spend some quality time together. However, the sad truth is that there are people who are unfortunate enough to still be working through the holidays. 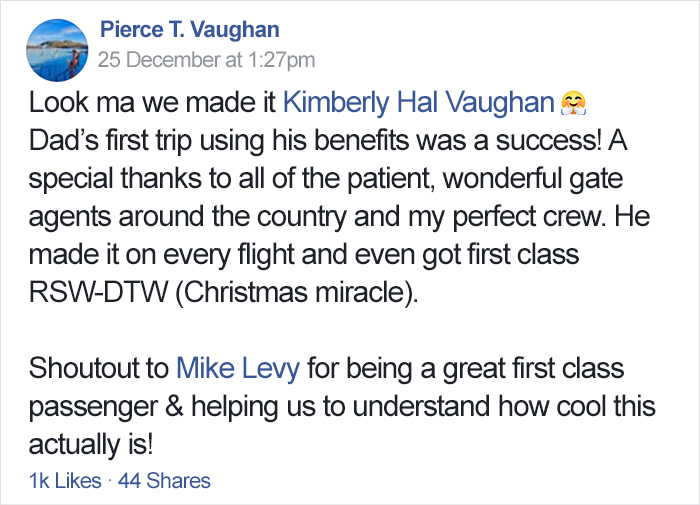 One such example was Pierce Vaughan, a flight attendant who had to spend the entirety of Christmas mid-flight. 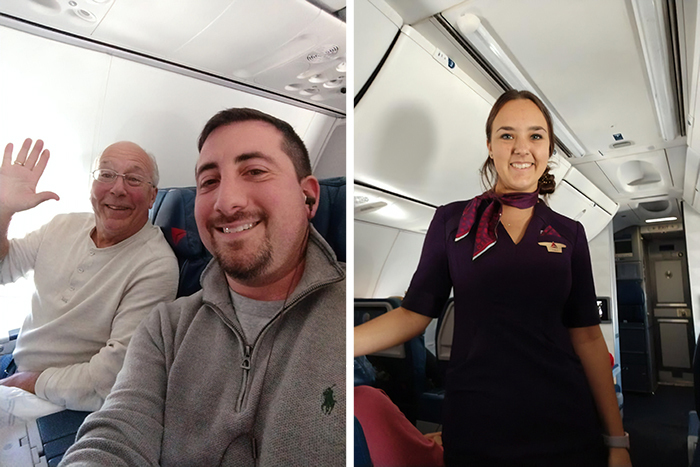 Lucky for her, she was the daughter of #FatherOfTheYear candidate, Hal Vaughan, who boarded 6 flights across the U.S. just so he could spend some quality time with his daughter. 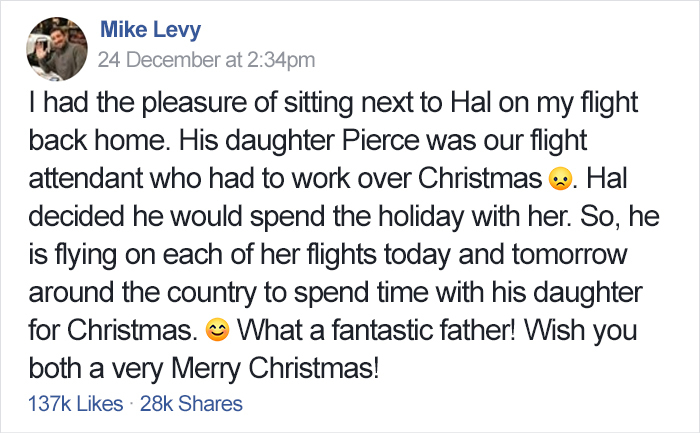 The viral story was shared by Mike Levy, a passenger in one of Hal’s 6 flights. 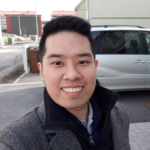 In an interview with Bored Panda, Mike revealed that Hal was also still recovering from an accident earlier in the year which left him paralyzed, making this the first trip he’s gone on since making a recovery. 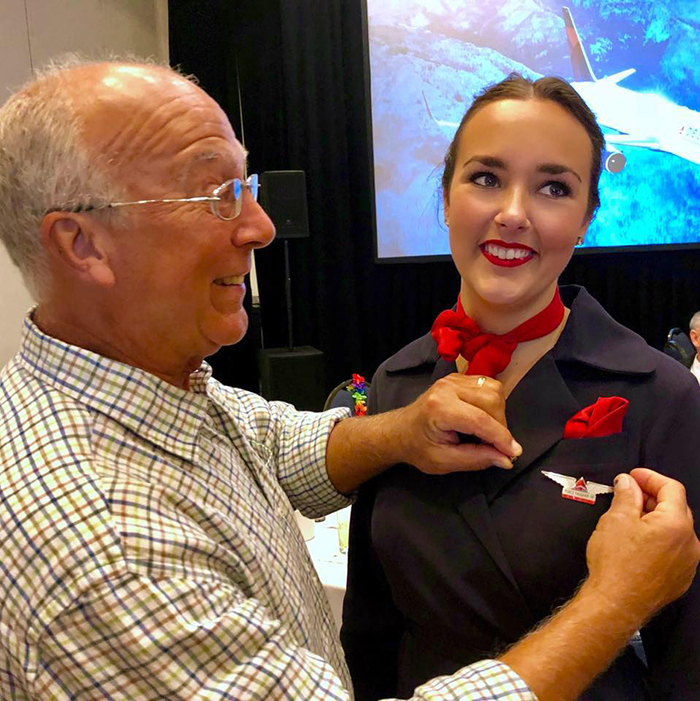 The viral post eventually reached Pierce herself, and she was beside herself with gratitude for Mike, the crew, and most especially, her loving father. 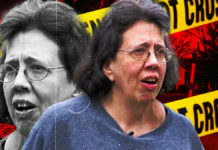 Images and story from Bored Panda.